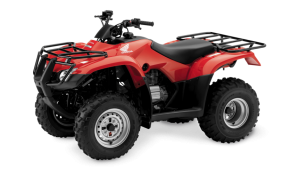 The Honda TRX420 ATV is a true all rounder, a mid size ATV with class leading power, performance and efficiency. 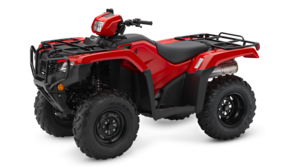 With rugged next generation styling it offers exceptional pulling power, quick starts and great acceleration. 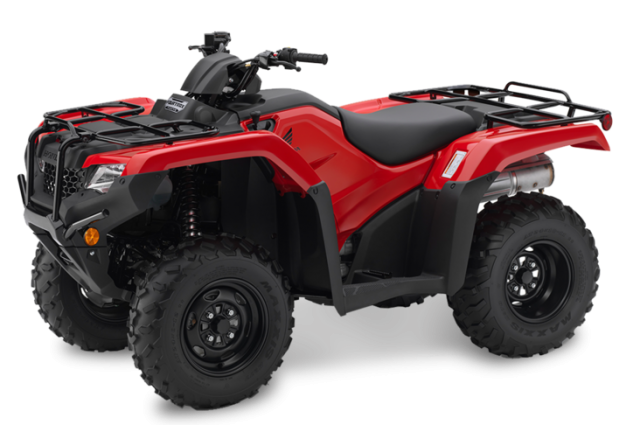 With several transmission options you won’t find it hard to get the TRX420 that suits your needs. TRX420FM: Switchable 2/4 wheel drive, with 5 forward/1 reverse gear, auto clutch with manual shift. TRX420FM2: Power steering, switchable 2/4 wheel drive, plus manual five-speed gearbox and automatic clutch. 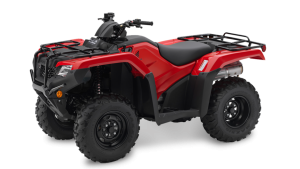 TRX420FE: Switchable 2/4 wheel drive – 5 forward/1 reverse gear, auto clutch with electric shift.